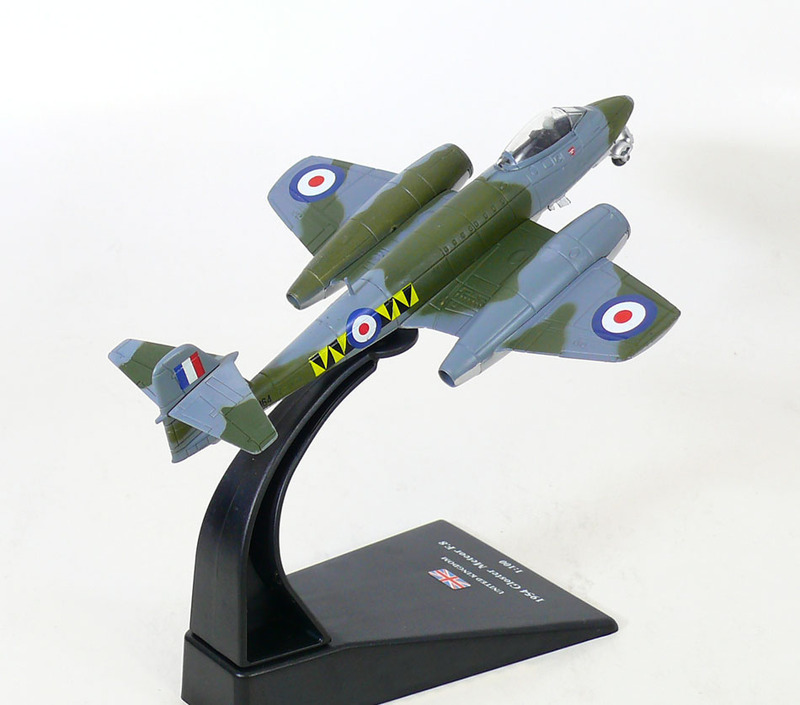 The Gloster Meteor was the first British jet fighter. The Meteor first flew in 1943 and commenced operations on 27 July 1944 with 616 Squadron of the Royal Air Force (RAF). Although the Meteor was not an aerodynamically advanced aircraft, it proved to be a successful and effective combat fighter. Several major variants of the Meteor were made to incorporate technological advances during the 1940s and 1950s. Thousands of Meteors were built to serve in the RAF and other air forces, and remained in use for several decades. The Meteor saw limited action in the Second World War, while Meteors of the Royal Australian Air Force (RAAF) provided a significant contribution to the Korean War and several other operators such as Argentina, Egypt and Israel also flew Meteors in regional conflicts. Specialised variants of the Meteor would also be developed to perform in the photo-reconnaissance and night fighter roles. In the 1950s, the Meteor would become increasingly obsolete as more nations introduced jet fighters, many of these newcomers having adopted a swept wing instead of the Meteor's conventional straight wing; in RAF service, the Meteor was replaced by newer types such as the Hawker Hunter and Gloster Javelin. Gloster Meteor F.8 Greatly improved from the F.4. Longer fuselage, greater fuel capacity, standard ejection seat and modified tail (derived from the E.1/44). 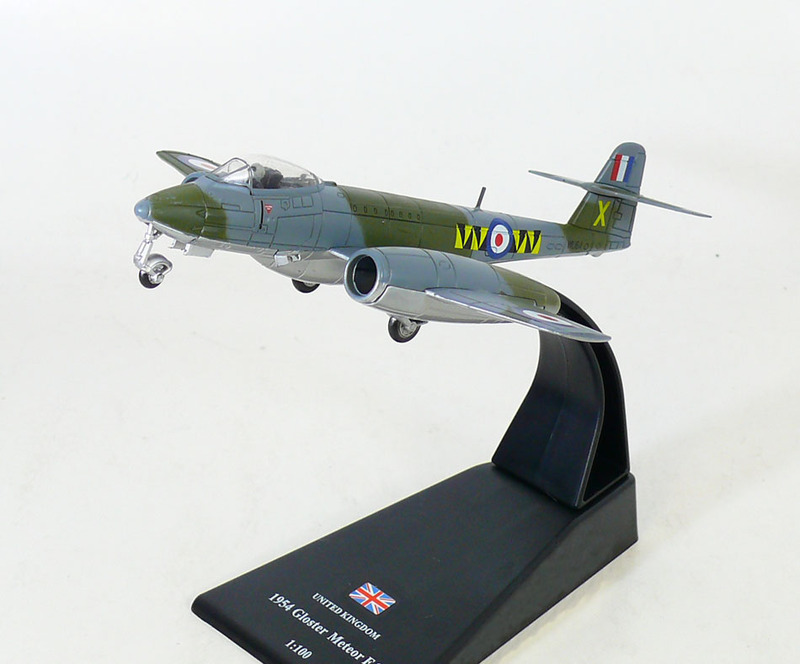 This variant was a prolific frontline fighter in RAF squadron service, 1950–54.